Funk AD2 ADPAK from XLN Audio is a virtual drum kit that's perfect for funk projects (as its new implies), but can easily be used on anything else with great results. Pearl originally engineered and designed each drum individually, and depending on size and depth, each drum has its own unique thickness and combination of wood types for delivering the kit's signature sound and resonance. The kit is powered by the Addictive Drums 2 sound engine, allowing for instant loading and tweaking of drums, along with realistic performance playback, all with little CPU load. The musician-centric interface and effects provide endless possibilities for composition and sound design. 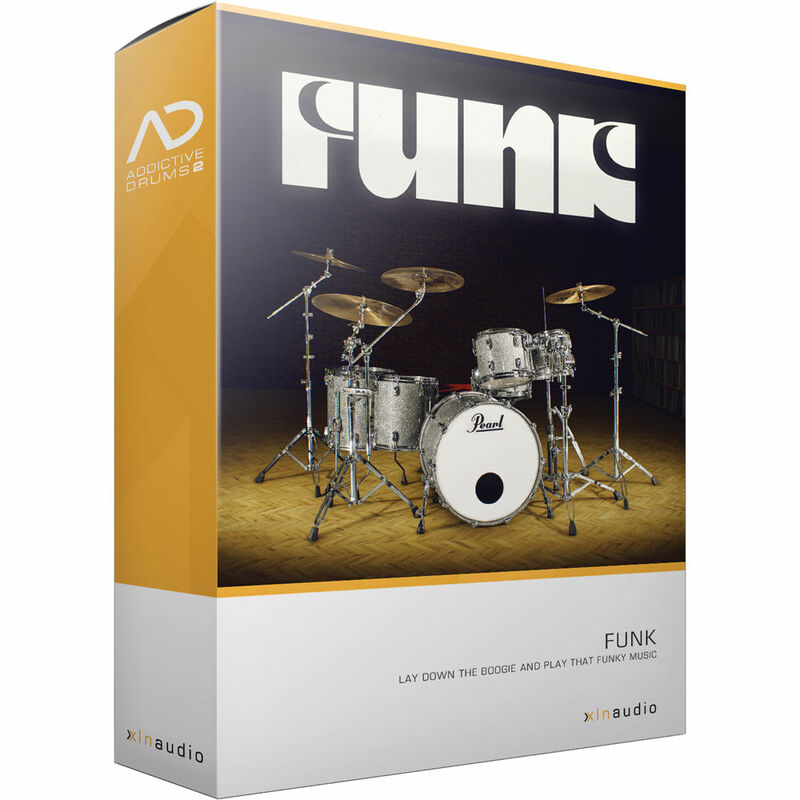 Addictive Drums 2 supports most major e-drum companies like Roland, Yamaha, Alesis, and others and includes many map presets for e-drum models.